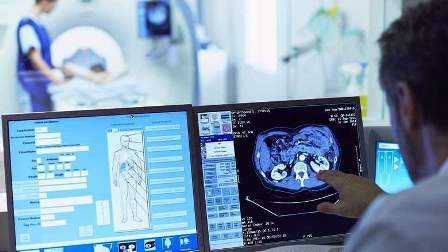 The UAE's healthcare industry is on an upward growth trajectory, bolstered by a growing number of industry-specific investments from several public and private entities. Speaking to Khaleej Times at the Arab Health 2018 exhibition, several officials highlighted the growth in the country's healthcare industry, the vision of its government and the role that new technology will play in improving patient care. "We always ensure that we fall in line with the government's vision," said Jamal Ramadhan bin Marghoob, director, sales department at Dubai Airport Freezone (Dafza). "For example, just recently it was decided that there would be an increased focus on halal products in the healthcare industry, so we took the initiative to do just that. It was a similar case when it came to medical tourism." He added: "When we go overseas to speak with companies that are interested in setting up a business over here, we tell them that we will work very closely with them to ensure that their needs are met. Different companies have different needs; some require storage solutions in warehouses, while others require immediate transport since their products are time sensitive." He also revealed that there has been an increase in investment in the healthcare industry, and that this is evident in the number of medical companies that are increasingly setting up their operations in Dafza. "Not only are the businesses coming in from international markets, but there is also an expansion in the local healthcare businesses. We see an increase in the number of specialty hospitals, pharmacies, and clinics in the UAE. Many existing hospitals are opening new branches and the supply chain is growing. This is the biggest indicator that the industry is growing." "Investments will be scattered across several different sectors, and not just on one segment," he said. "One area that is, and will continue to evolve is specialised treatment. We will see an increasing number of tertiary hospitals coming up in the UAE so that patients don't have to go out of the country to get treatment. If you look at Dubai Healthcare City, we have a number of highly sophisticated and specialised hospitals. The key is to never stop innovating, especially in such a field." "With so much research and many new rehabilitation techniques being developed, rehabilitation centres in the UAE must continue to innovate in order to offer the highest quality care to their patients," he said. "The health and well-being of children is also a major priority in the UAE, much in keeping with the government's outstanding vision and leadership by placing great emphasis on outstanding pediatric medical care. With the future in mind, CMRC has recently opened its first facility in Dubai, which is specifically designed for the treatment of children with special needs; our determined ones." In 2017, France's medical device market reported a turnover of ?28 billion, generated by over 1,300 companies - 92 per cent of which are SMEs. Growth in the sector is driven by exports, turnover from which is increasing by five per cent annually. "Several of our companies have signed partnerships with companies in the UAE and the GCC," she said. "The UAE is one of France's main economic partners, and we know that the healthcare industry in UAE is set for a period of growth due to several initiatives such as Dubai Expo 2020 and UAE Vision 2021. Dubai has plans to be one of the smartest and happiest countries in the world, and this goes hand in hand with further developments in the healthcare industry. We feel that we can contribute to these plans for the future."